I love being by the water! Every place I have called home has been next to bodies of water – the Platte River, Hudson River, East River, the Inner Harbor of the Chesapeake Bay, the Bosphorus and now the Vistula River in Warsaw. I find the water peaceful and relaxing. It’s no wonder that we often end up riding bikes or drinking a beer along the Vistula on the weekends. During the summer months, you also can take a river cruise along the Vistula by a water tram (riverboat) nicknamed “Wars.” This 90-minute cruise is an interesting experience for all tourists and locals alike. From the deck of this boat, you can see the panorama of the Old Town, the Palace of Culture, the Copernicus Science Center, the National Stadium and a couple unique bridges as well as ducks, seagulls and fishermen. View of the Palace of Culture, left, and the rear of the Royal Castle in Warsaw. Unfortunately, the cruises have ended until next May. The weather is still decent right now, so I don’t understand why the city stopped offering what seemed like quite popular river cruises. 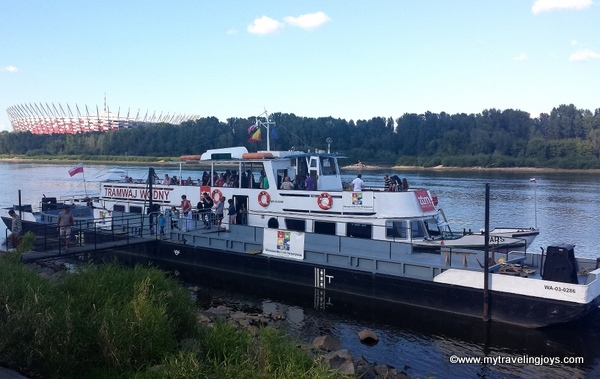 Luckily, we caught one of the last cruises in late August, which departed from the marina just north of the Łazienkowski bridge. While the boat was crowded and the cue for tickets a bit disorganized, the cruise itself was enjoyable. I liked seeing the city of Warsaw and its highlights from a different perspective. It was a great picture-taking opportunity! On the left, you'll see Stacja Balon, a tethered helium balloon, that goes up 130-150 meters. Tickets cost 40 PLN per person. On the right is the Świętokrzyski Bridge - the first suspension bridge in Warsaw. Originally built 1904-1914, the Poniatowski bridge was destroyed during both World Wars and rebuilt afterwards. The only negative thing I have to say is that the Vistula seems awful dirty and murky. A Polish friend told me it’s because the river is fast moving so a lot of dirt is stirred up. However, I’m still not sure if I’ll be dipping my toes in the river any time soon or EVER. To be fair, I also wouldn’t be caught swimming in the Hudson River back in NYC either. Next summer, if you want some wonderful pictures of Warsaw, do remember to take a relaxing ride along the city’s Vistula River. This is the part of the Old Town, established at the turn of the 13th and 14th century, as seen from the Vistula River. The Old Town almost was completely destroyed during World War II and rebuilt in its 18th century form. In 1980, the Old Town was placed on the world heritage list by UNESCO. NOTE: Times may change for 2014, but I'm posting this helpful map as a guide. 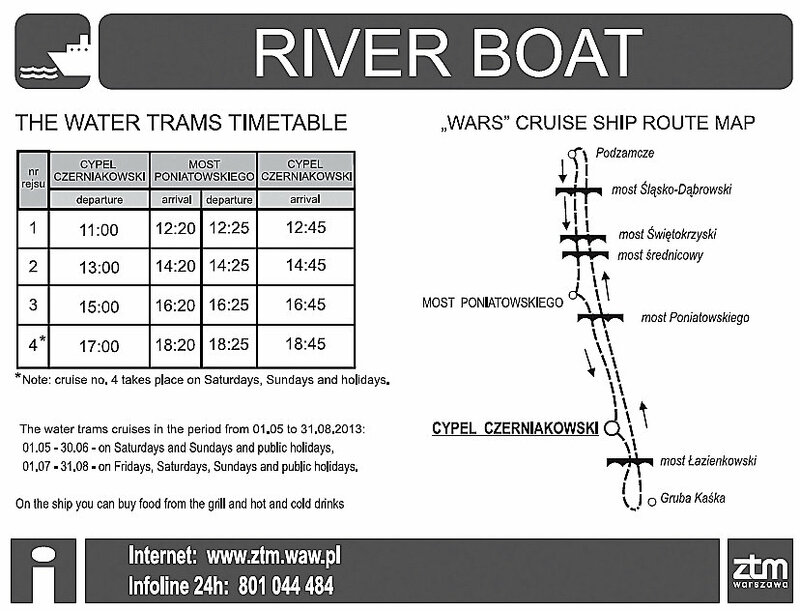 The Vistula River cruises are operated by the Public Transport Authority of Warsaw. Cost is 18 PLN for adults and 9 PLN for children. You also can purchase discounted family tickets. what a beautiful trip! if i fell in the hudson river i would just die of fright! I can never resist a good river cruise, always the best way to see a city. REally something special about water! @ifs ands Butts, thanks for stopping by! I agree! I'd love to do the river cruise in Budapest too! 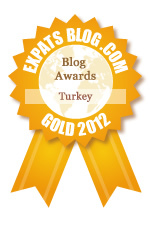 @Ozlem, you definitely should visit us! :-) There's a lot to see in E. Europe and the prices are so much cheaper than elsewhere. We are really enjoying that aspect!